The standard chess set has been reimagined in multiple formats, using everything from Simpsons characters to loaded shot glasses. The new exhibition at the World Chess Hall of Fame sees regulation Staunton sets done up with a fresh coat of paint, which doesn't sound all that impressive. But when it's artists such as Caio Locke, Sophie Matisse and Thierry Noir wielding the brushes, the results are dazzling. 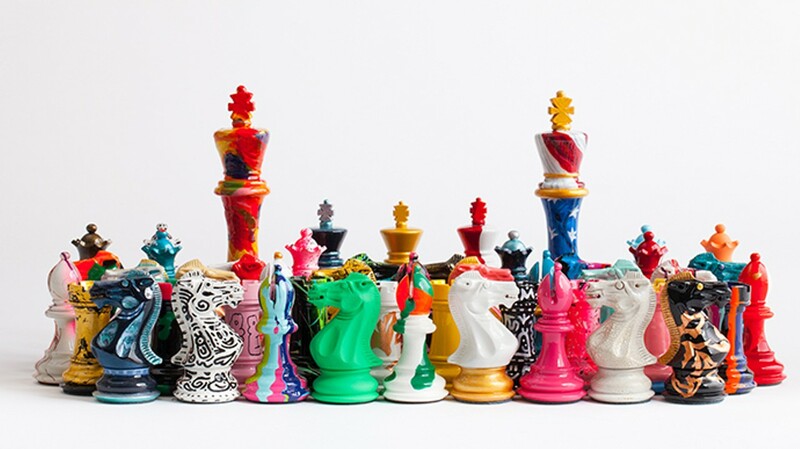 Painted Pieces: Art Chess from Purling London features vibrant, hand-painted chess sets exploding with color and invention. Painted Pieces opens with a free reception from 5:30 to 7:30 p.m. Thursday, April 12, at the World Chess Hall of Fame (4652 Maryland Avenue; www.worldchesshof.org). The show remains up through September 16.